This book constitutes the first time in the field of developmental psychology that cross-cultural roots of minority child development have been studied in their ancestral societies in a systematic way--and by an international group of researchers. Most child development and child psychology texts take cultural diversity in development into account only as an addendum or as a special case--it is not integrated into a comprehensive theory or model of development. The purpose of this text is to redress this situation by enlisting insiders' and outsiders' perspectives on socialization and development in a diverse sampling of the world's cultures, including developing regions that often lack the means to speak for themselves in the arena of international social science. The unique feature of this text is the paradigm. For the minority groups represented, the questions focused on how development was behaviorally expressed within the culture of origin and in new societal contexts. Thus, developmental issues--such as language and mother-child interactions--for African-American children are considered in the United States as well as in the African culture of origin and in France as a country of immigration. This paradigm is considered for African and Asian cultures and the Americas, including Hispanics from Mexico as well as Native Americans. * the ancestral cultures have changed, yielding cross-generational discontinuities in the development and socialization of immigrants from the very same countries. * the role of interdependence and independence in developmental scripts can account for historical continuities and discontinuities in development and socialization, both across and within cultures. 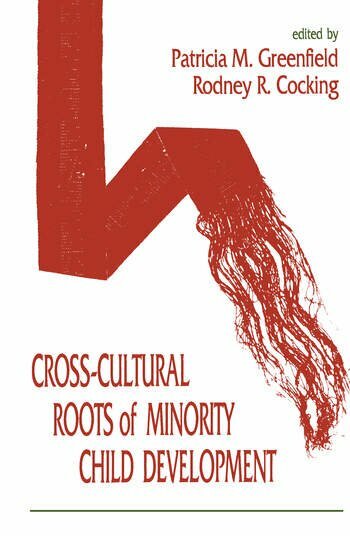 These questions not only provide the unifying theme of this unique book but also a model for conceptualizing multi-culturalism within a unified framework for developmental psychology. Contents: Preface. P.M. Greenfield, Independence and Interdependence as Developmental Scripts: Implications for Theory, Research, and Practice. Part I: American Roots. F.M.T. Uribe, R.A. LeVine, S.E. LeVine, Maternal Behavior in a Mexican Community: The Changing Environments of Children. C. Delgado-Gaitan, Socializing Young Children in Mexican-American Families: An Intergenerational Perspective. R.G. Tharp, Intergroup Differences Among Native Americans in Socialization and Child Cognition: An Ethnogenetic Analysis. J.R. Joe, Revaluing Native-American Concepts of Development and Education. J.H. Suina, L.B. Smolkin, From Natal Culture to School Culture to Dominant Society Culture: Supporting Transitions for Pueblo Indian Students. Part II: African Roots. A.B. Nsamenang, M.E. Lamb, Socialization of Nso Children in the Bamenda Grassfields of Northwest Cameroon. J. Rabain-Jamin, Language and Socialization of the Child in African Families Living in France. I.K. Blake, Language Development and Socialization in Young African-American Children. B.A. Oloko, Children's Street Work in Urban Nigeria: Dilemma of Modernizing Tradition. Part III: Asian Roots. U. Kim, S-H. Choi, Individualism, Collectivism, and Child Development: A Korean Perspective. T.S. Lebra, Mother and Child in Japanese Socialization: A Japan-U.S. Comparison. H. Azuma, Two Modes of Cognitive Socialization in Japan and the United States. D.Y.F. Ho, Cognitive Socialization in Confucian Heritage Cultures. H. Stevenson, Moving Away From Stereotypes and Preconceptions: Students and Their Education in East Asia and the United States. B. Schneider, J.A. Hieshima, S. Lee, S. Plank, East-Asian Academic Success in the United States: Family, School, and Community Explanations. R. Takanishi, Continuities and Discontinuities in the Cognitive Socialization of Asian-Originated Children: The Case of Japanese Americans. Part IV: Concluding Perspectives. J.U. Ogbu, From Cultural Differences to Differences in Cultural Frame of Reference. R.R. Cocking, Ecologically Valid Frameworks of Development: Accounting for Continuities and Discontinuities Across Contexts. "...an excellent source for gaining information regarding the socialization and development of the minority groups....present[s] useful information which can help graduate students in the social sciences, developmental, educational, clinical and school psychologists, and researchers to give more credence to the impact of culture on development and socialization in their respective fields of work. This book would be appropriate for courses that have a focus on multicultural aspects, such as race and ethnicity, educational aspects of minority groups, and mental health courses addressing appropriate interventions." "...effectively brings together theory and research findings on child development within various cultural groups. In practical terms, this volume enables those interested in cross-cultural research to obtain useful information about similarities and dissimilarities within and across groups, from one source. Additionally, the book serves to stimulate interest in the field and leads the reader to question previously held assumptions and beliefs about culture and the manner in which cross-cultural research is conducted....this volume makes an important contribution to the field of developmental psychology and to the study of minority child development. It is encouraging for those trying to advance cross-cultural research and informative for those wanting to learn more about diverse groups in a pluralistic society." "Greenfield and Cocking...provide a useful framework for examining the influence of cultures in contact on learning and cognitive development....the volume meets the editors' goals of contributing to a cultural-historical approach and to a theory of development that reaches beyond Euro-American norms. The collection has breadth." "Not since the turn of the century has it been so important for those who study and work with children to recognize the impact of cultural history, the reason for migration, the migratory experience itself, and the experience of integration into the host society by the family. All of these concepts are crucial to understanding the cross-cultural roots of minority child development. This book is an excellent beginning." "The editors are to be applauded for bringing together a stunning range of locales and settings and a highly competent group of international scholars."